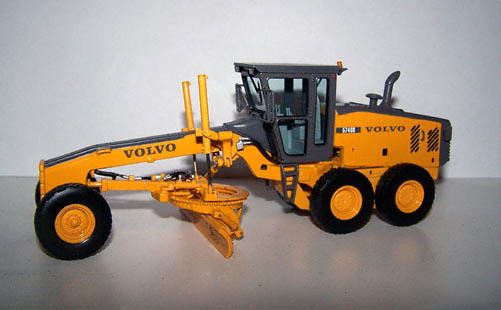 This is the Volvo G740B, made by Motorart. 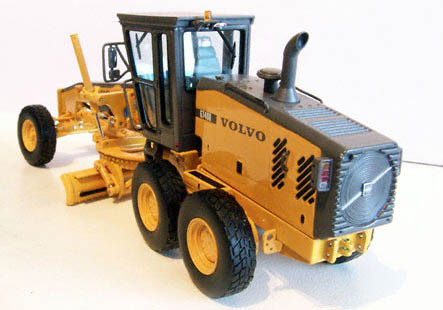 As usual with Motorart models this model has a high level of detail. 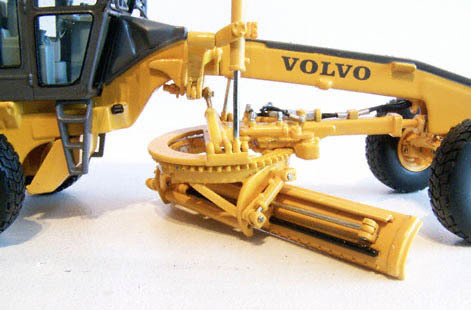 The front axle features both steering and tilt cylinders. 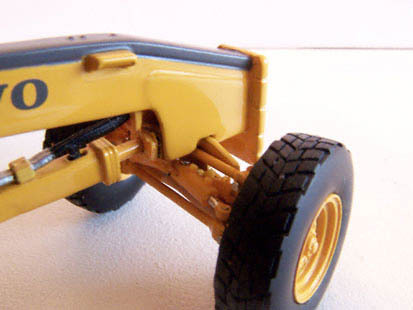 Because these are very small, steering and tilt movements are limited. Also in and around the cab there is no lack of detail. The mirrors and handrails are very fragile though. The cab interior is less colourful than usual with Motorart models. This is another excellent release by Motorart. 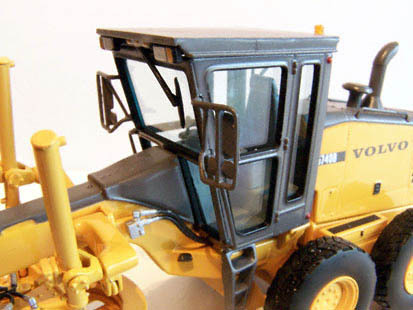 Because of the many small moving parts this model is more suitable for a showcase than for use in a diorama.